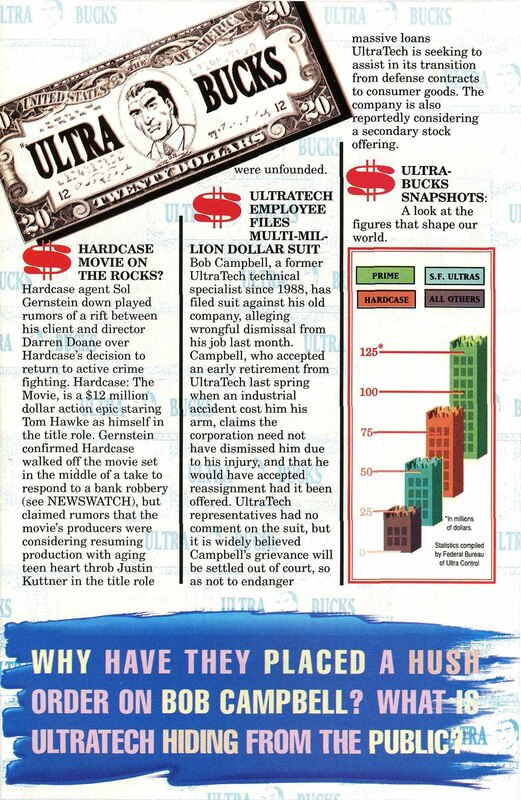 My professional background is in marketing, so I love stumbling across old promotional material. 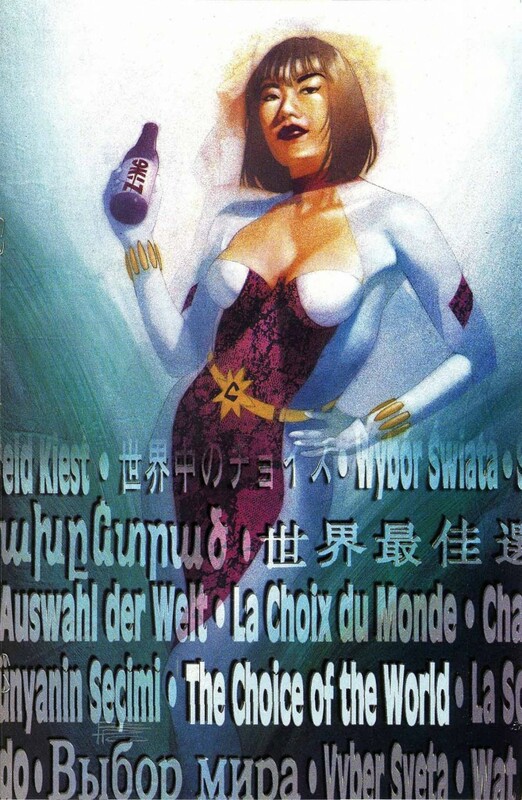 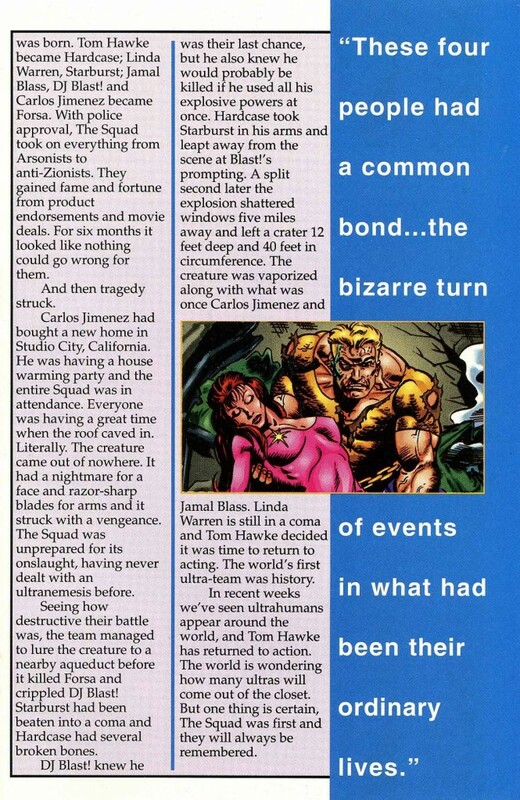 Especially promotional material for comic books! 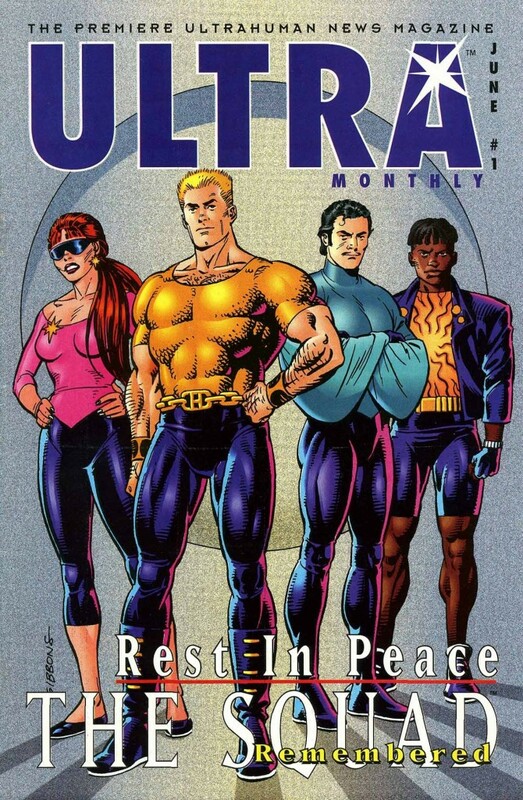 Today we’re presenting the entire first issue of Ultra Monthly, a giveaway 16-page comic promoting Malibu’s Ultraverse. 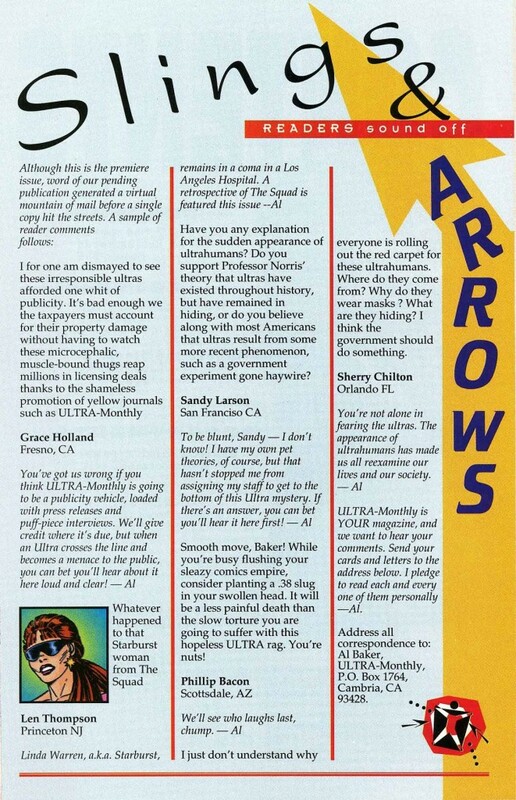 Normally we don’t share an entire comic, however, this particular issue was free and for promotional purposes. 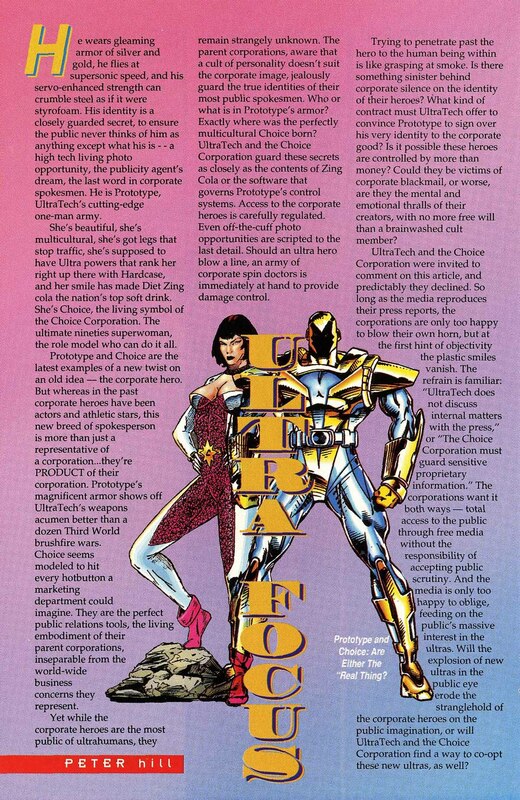 Below is a fantastic description of the magazine from Longbox Graveyard, website of Paul O’Connor (Contributing Editor on Ultra Monthly). 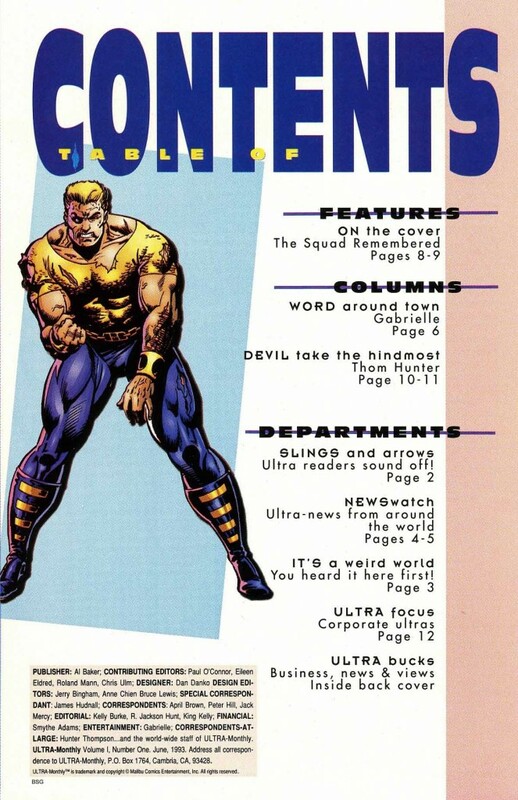 The idea behind Ultra Monthly was that it was a news magazine from inside the Ultraverse — it told the story of the Ultraverse through news stories and “photographs,” relating only what an outsider would be able to divine about the super-powered derring-do of the Ultraverse. 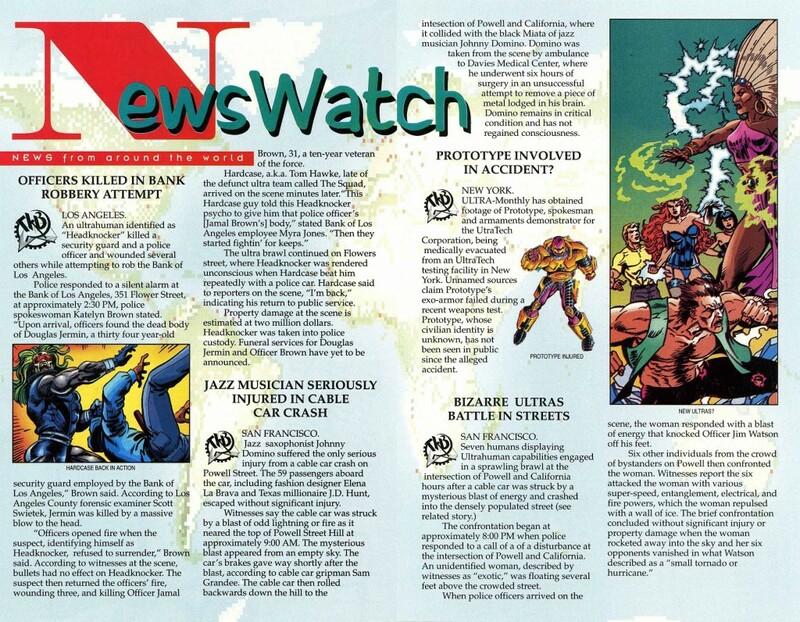 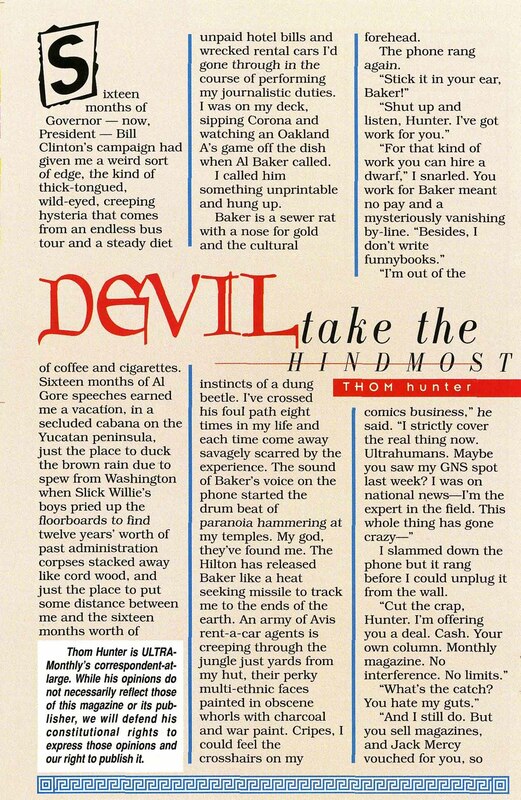 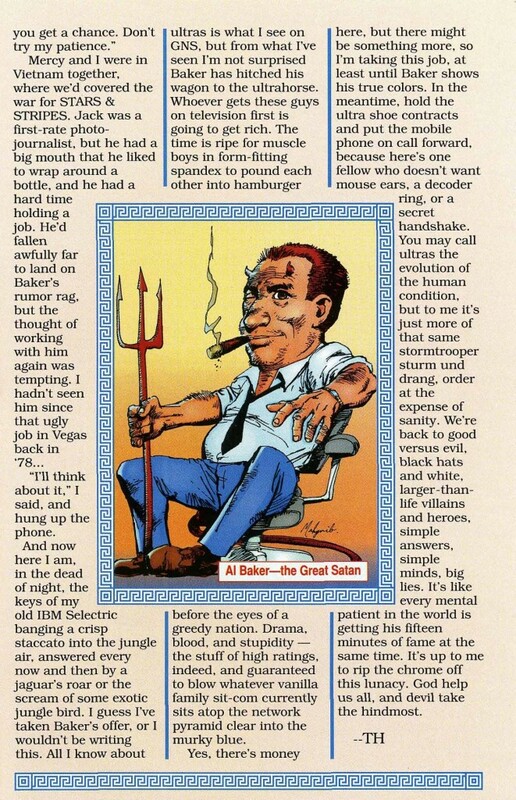 I guess it was kind of like Marvels, except that Ultra Monthly was a news magazine, and not a comic (and we didn’t have a couple guys named Busiek and Ross on board, either). 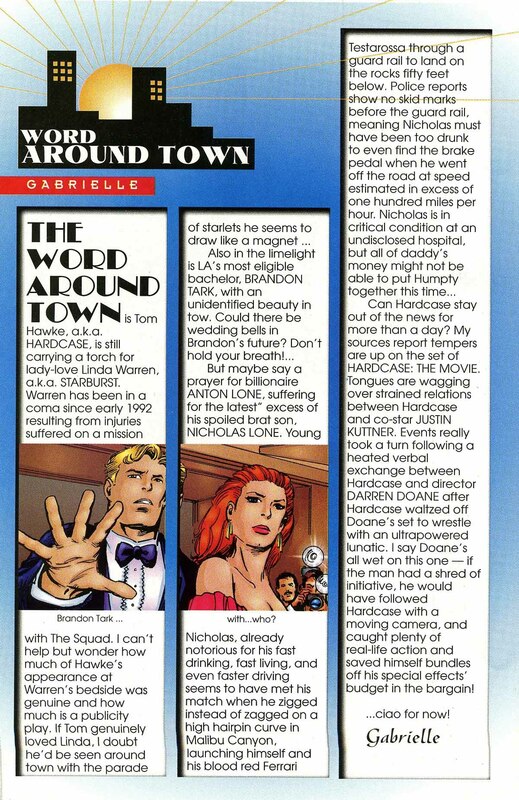 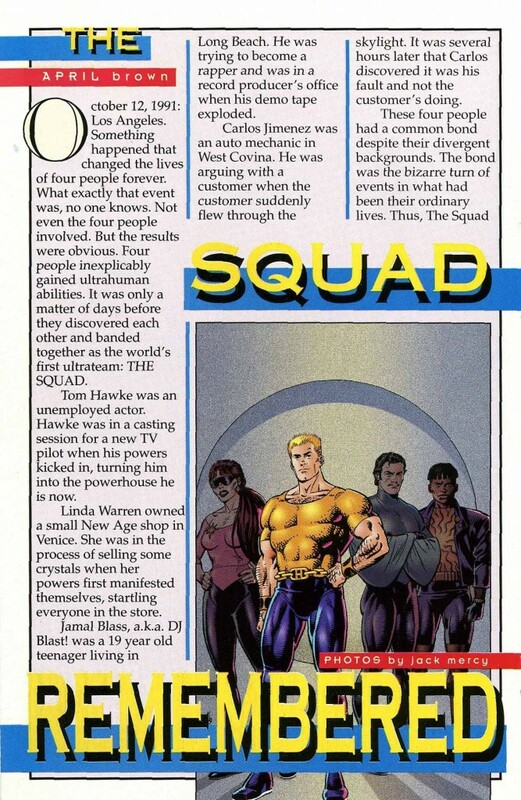 Anyway, the point was to show a “street” level view of the Ultraverse, but it was also to promote the characters in the line, and that proved especially challenging for characters that lurked in the shadows of this new fictional world. 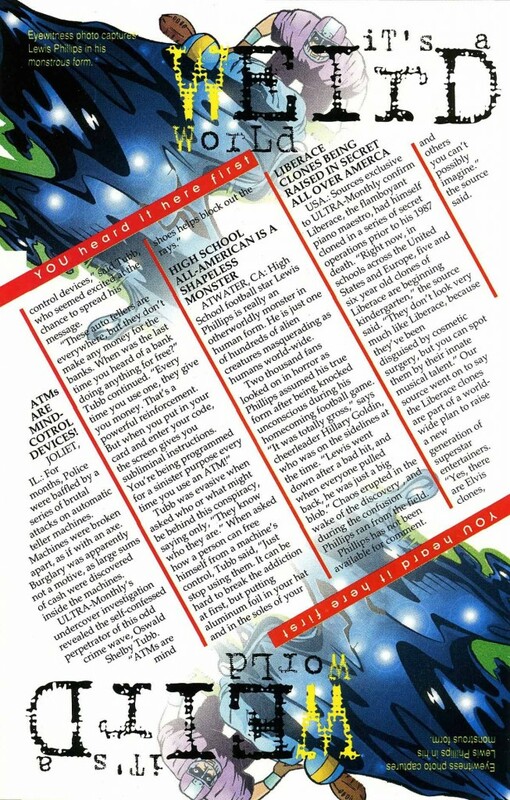 Nicely explained, Paul! 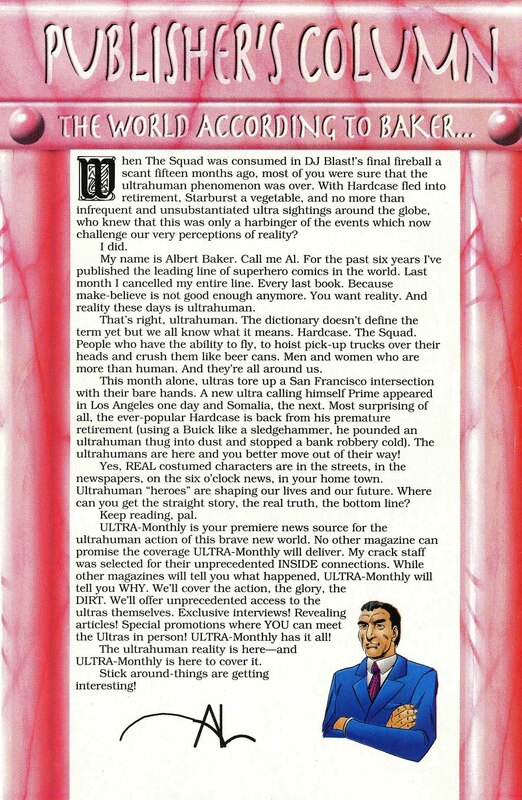 And now, “The Premiere Ultrahuman News Magazine!” Click the images below to read the entire magazine. Who did the art on that Choice ad?